This is the first or a number of articles I am going to write about the English section of the CESPE/IRBR phase 1 – ‘TPS’. 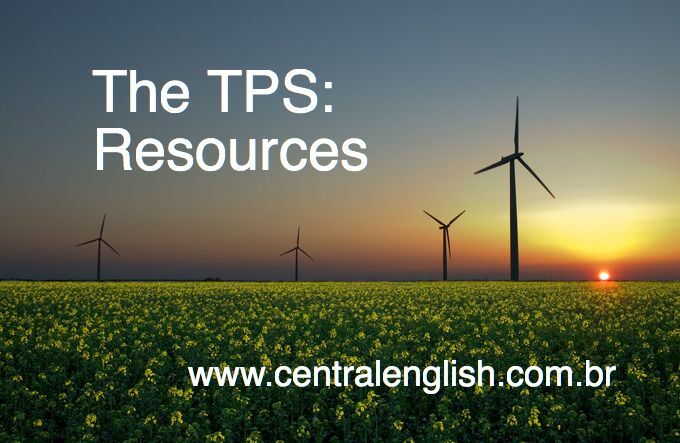 Here I will look at the sources of the texts used in previous exams up to this year and adapted in our updated TPS course. It is hoped that by the end of these articles candidates will have a greater understanding of this section of the exam, i) its overall style, ii) the different texts it uses and iii) the different styles of questions. This will aid a CACD candidate’s studies and makes sure they waste less time on reading materials that have no bearing on how they study for the ‘concurso’. In this first article I will demonstrate the resources used by the examiner and show the general areas from where these resources are gathered. At the end of the article I will explain the gradual change in the exam in this area, clarify the misconceptions when studying for this phase and provide some links for the texts for candidates to use. W. Said. Orientalism. New York: Pantheon, 1978, p. 1-4 (adapted). Massey. For space. London: Sage Publications, 2005, p. 4-5 (adapted). Bierschenk. Book Review — Pierre Englebert (2009), Africa: unity, sovereignty, and sorrow. Internet: <http://journals.sub.uni-hamburg.de> (adapted). Michael Johnson. The impact of political and diplomatic disputes on international business activity. Internet: <www.ibde.org> (adapted). Makin, John H. The challenge of a lifetime. In: The international economy. Fall 2013, p. 10-11. Available at: <http://www.international- economy.com>. Adapted. Retrieved on: March 1, 2014. Christopher Lasch. The Cult of Narcissism. Abacus, Londres, 1980 p. 320-322 (adapted). Roger Crowley. Empires of the Sea, The Final Battle for the Mediterranean, 1521-1580, Faber and Faber, 2008, p. 1-2. Onley. The future of global diplomacy. June 17th, 2013 (adapted). S. Abu Jaber, Language and Diplomacy. In: J. Kurbalija; H. Slavi (Eds.) Language and Diplomacy, p. 53. Malta: DiploProjects, 2001. Simon Winschester. The Professor and the Madman – A Tale of Murder, Insanity, and the Making of the Oxford English Dictionary. Harper Perennial, 2005, p. 182-3 (adapted). Andrew Graham-Dixon. Caravaggio: a life sacred and profane. New York – London: W. W. Norton & Company, 2010 (adapted). We can see some patterns in the themes/styles of text that the examiner has used. There are more texts based on themes found in diplomacy (obviously), English literature, and articles adapted from magazines and newspapers. On further examination, while there is a spread of the texts available both over the internet and in paper-based books, we see that today the dependency on more popular newspapers and magazines has gradually declined and the use of diplomatic/international relations themes from academic reading has become more prominent. K.S. Abu Jaber, Language and Diplomacy. In: J. Kurbalija; H. Slavi (Eds.) Language and Diplomacy, p. 53. Malta: DiploProjects, 2001. A further change is shown through a gradual inclusion on more diplomacy book-based texts, which can be found by a broader choice of reading of subjects, linked to International Relations. However, the internet is still one source for the texts used but it seems the exam has been using less recourses that can be easily discovered online. Also, we will see when I analyse the questions, in a later article, that these journalist texts do not necessarily include the weird and novel language that are usually found in this first phase of CESPE/IRBr exam. High level academic texts must be the focus for this phase and those candidates who have not studied international relations or are not yet familiar with the main diplomatic themes might have some difficulty choosing from the array of information available. Furthermore, although I state that they have been used less, from a teaching point of view, text from classic English literature still offers an excellent resource to help to perfect ‘text interpretation’ (the main question type on the exam) because they offer rich language and depth of thought that can only benefit a candidate for this stage. This is a link to one source that I have been using for the last few years with my students for literature: http://www.classicshorts.com/abc.html. A good university library is the only way to find paper based texts. English books on International relations and Academic articles on different diplomatic subjects must be used to become more familiar with the themes and language used in this section of the TPS. Google Scholar is also a good search engine to use for the different content. In 2016 the article was on ‘Orientalism’, so searching for articles on this theme can demonstrate which articles to read. © 2019 Desenvolvido Aida Tecnologia e Comunicação All rights reserved.